Born and bred in Singapore, these athletes hail from all corners of the Republic and they will be representing their country at the 28th SEA Games. Charmaine Ng looks at 10 Team Singapore stars who will be going all out to do their hometowns proud. Monkeys have raided her family's home at Upper Thomson for bananas and bread, and the nearest bus stop is about a kilometre's walk away. But as much as there are things to complain about the area she grew up in, sprinter Dipna Lim-Prasad says she still loves her neighbourhood. "It still has its charm because it's quiet and peaceful. There's no road noise because my house is not near a main road, and it's all the way up on a hill," said the 23-year-old. In fact, it was her neighbourhood's culture that sparked her interest in running. When she was four-years-old, she started playing catching with her neighbours at a nearby playground. "It was just an unspoken rule that at about 5 or 6pm, the neighbouring kids would gather there to play catching. It was like our neighbourhood culture," she said. From there, Lim-Prasad became hooked on running and she joined the athletics team when she enrolled into CHIJ St Nicholas Girls' Primary School, a 10-minute drive away from her family's semi-detached home. Though Lim-Prasad is now married and will soon move out, she is reluctant for her family to sell the Upper Thomson house. "When I talk to my parents about the place, we don't really want to sell it because there are so many memories." She added: "My house is just across the road from a jungle. Monkeys come into my house to steal food, but that's something quite uncommon in Singapore, and that's part of its charm." 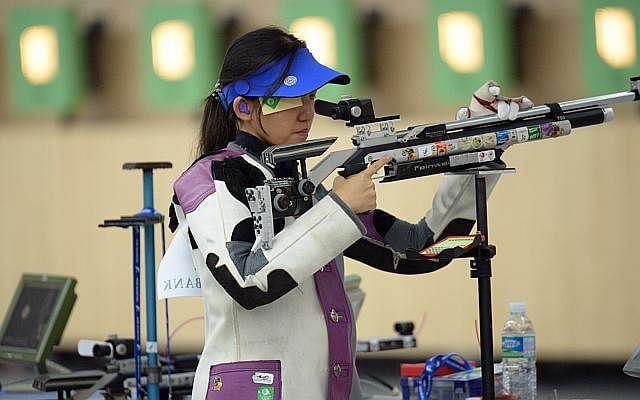 While Jasmine Ser has struck gold three times at the Commonwealth Games, it is not her achievements that have made her a familiar face to the people in her Yishun neighbourhood. Instead, the Olympic shooter is remembered by coffeeshop hawkers opposite Safra Yishun because she trains there every night. "If I go overseas for a week, the drinks seller would ask me where I've been. It's a warm feeling because they care about me and look out for me," said the 24-year-old. It is perhaps no surprise then, that her favourite place in Yishun is the coffeeshop next to Northpoint Shopping Centre "where all the good food is", according to the sharpshooter. For Ser, who has lived only in Yishun, comfort is in the familiarity of her neighbourhood. "When I need to find something, the first few places that come to mind are the places around my neighbourhood because they're so convenient. "And knowing the neighbourhood so well is what makes it feel close to heart." He might be playing international football at big stadiums now, but for Faris Ramli, it all began at a void deck in his Pasir Ris neighbourhood. Having lived in the eastern end of Singapore since he was born, Faris' childhood was spent mostly playing football, bowling and tennis at void decks. "When I was younger, my (late) elder brother would always drag me to the void deck where he would practise free kicks with me as the goalkeeper," recalled the 22-year-old winger, who is the fourth of six brothers in the household. As he got older, Faris started playing football at a street soccer court in Tampines, where he learnt and sharpened his football skills. 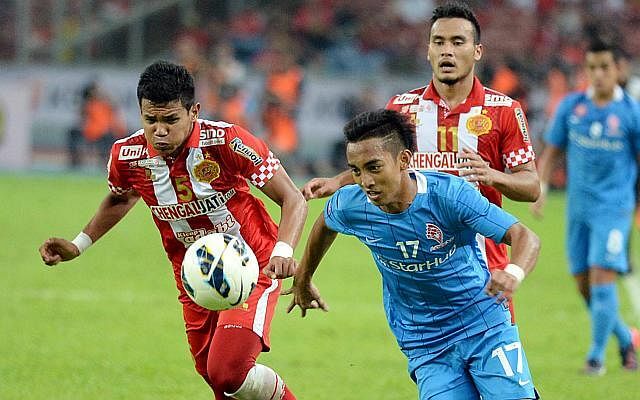 Sadly, Fahmi, the elder brother who mentored the LionsXII player, died in a motorcycle accident eight years ago. "(My late brother) was the one who introduced the sport to me and taught me how to dribble and curl the ball. Now, I play football to continue his legacy and keep the memory of him alive." Some of her friends tease her about living in a neighbourhood so far away from town but for canoeist Stephenie Chen, Boon Lay is home sweet home. "It's just home. You cannot replicate a place like this," said the three-time SEA Games gold medallist, who has lived in the western town for the past 12 years. Chen moved from Jurong East to her current neighbourhood when she entered Primary 1 and attended Rulang Primary School, a 10-minute bus ride from her family's flat. When her friends joke that Boon Lay is part of Malaysia, Chen shrugs them off. "It is far from everything else, I'm not denying that. But I think I've only gotten interrupted cell service (from Malaysia) once in my life here," she said. She adds that the other plus points of her neighbourhood includes "the money changer (who) has very good rates" and the beef noodle stall at a Jurong West market. "I like that my neighbourhood is more or less self-contained. I can get whatever I want in the area," she said. Although Wong Wei Long is no longer a resident of Bishan, he still gets special treatment when he pays a visit to the neighbourhood where he grew up. "The uncle who sells chicken rice at Dim Sum Link near the Bishan bus interchange is extremely supportive of local athletes. He gives me a more generous portion of chicken rice knowing that I'm a national basketball player," said the 26-year-old point guard for the Singapore Slingers. The privileges even extend to the neighbourhood basketball courts. 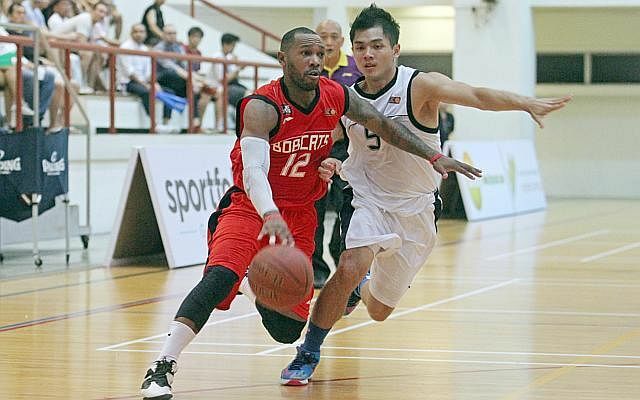 "Some regular players at the Bishan basketball court would also recognise me and clear the court when I go back to shoot hoops," he said. For Wong, who has been living in Balestier for a year, the basketball court near his old Bishan home was where secondary school students like himself would gather every day after school. "When I was 10 to 14-years-old, I spent at least four hours a day on court figuring how to be a better player. I also spent hours watching and learning from some of the other basketball players there," he said. "(So) even though I no longer live in Bishan, I still go back to play whenever possible." Thirteen years ago, Muhammad Shaheed Alam was known to his neighbours as a four-year-old who was too short to reach the net at the badminton court in front of his Sengkang flat. Today, he stands tall as Singapore's representative at the SEA Games' tennis tournament, competing in the men's doubles and men's team events. But the 17-year-old still remembers how the badminton court at his Sengkang home kindled his love for tennis, which he rates as his fondest childhood memory. "When I was four, my dad converted the badminton court in front of my block into a 'mini tennis court' for me and that's where I first held a tennis racket," he said. "I think some of my neighbours remember that when I first started playing tennis in that 'mini tennis court' I couldn't even reach the net. Now I am representing Singapore." Shaheed is so used to the kampung culture in his estate that when he visits his friends' homes in other neighbourhoods, he is surprised by the lack of interaction among the neighbours. "Everyone in my estate has their doors open till the wee hours of the night; it's a community where everyone knows each other," he said. "I don't think it's like this everywhere in Singapore so I'm really thankful." Fariza Begum remembers clearly the evolution of the playground at her Serangoon home as the old sand pit was replaced by rubber mats. "It was always a lot of fun to play with the sand and on the swings at the old playgrounds. 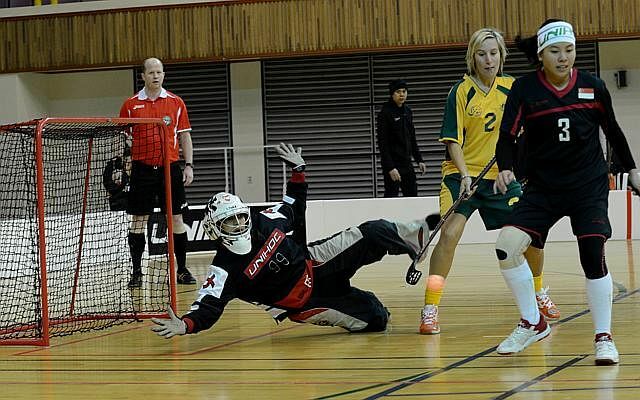 But the playground I used to play at was replaced with a new one and it doesn't look as fun anymore," said the 26-year-old national floorball player. While her Serangoon neighbourhood has changed, it will always be home to the goalkeeper. "Even though I've moved before, it has always been within Serangoon. I went to school in Serangoon and hung out with my friends after school in the neighbourhood," she said. During her childhood days in the area, Fariza would play football and caught spiders to watch them fight. But not all of her adventures ended well. As a Primary 5 student, she dislocated her right arm while cycling at a multi-storey carpark in her neighbourhood. "Now looking at my arm, the bone is kind of protruding out. I don't know how I lived with it but it's not painful now," she said. With so much memories, Fariza says she does not want to move to a new neighbourhood in the future. "My siblings have moved out to other neighbourhoods but we all agree that this is the best place to be. It has everything we need and our family is here. "I guess it's just human nature, wanting to stay in our comfort zone," she added. 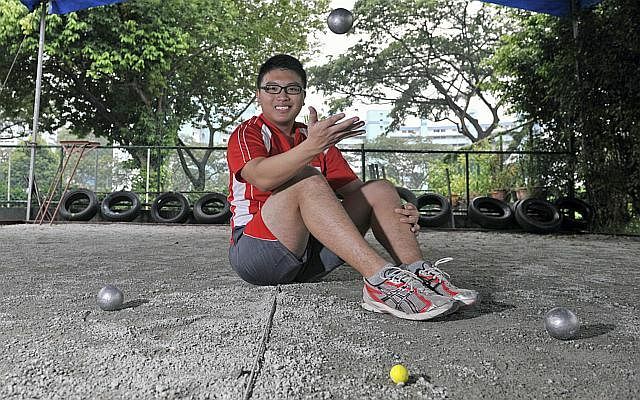 For petanque player Cheng Zhi Ming, Bukit Panjang is not just a neighbourhood, it is also where he first tried his hand at the sport that will eventually see him representing his country at this SEA Games. Together with his brothers, Cheng was introduced to petanque by one of his teachers at Greenridge Primary School when he was eight-years-old. They were brought to a community centre nearby, which had a petanque court, where Cheng played the game for the first time. "It was something new, and I got very interested in the sport after that because it's not like other sports," said the 21-year-old, who grew up in Bukit Panjang. While the community centre and petanque courts where he developed his skills no longer exists in his neighbourhood, Cheng will probably never forget that his sporting roots are in Bukit Panjang. "The memories are vivid for me as this is the place where I've grown, both as a person and as an athlete." 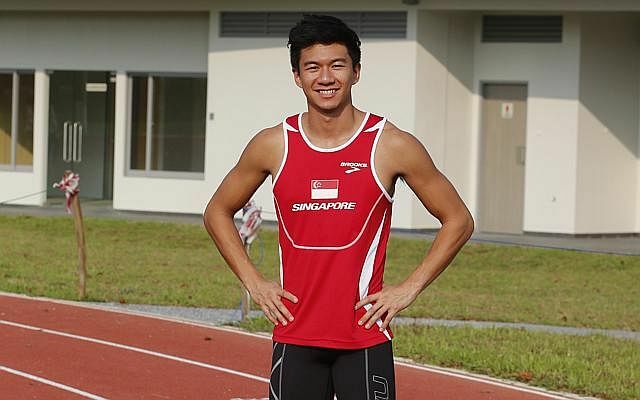 Although Calvin Kang's home is in Pasir Ris, the national sprinter spent years living in dormitories in the western and northern parts of Singapore. For five years while studying at the Singapore Sports School, Kang stayed in the school's hostel in Woodlands. Now, as a Nanyang Technological University undergraduate, Kang spends most of his week staying in the Pioneer hostel before heading home in the east on weekends. But for the 25-year-old who has stayed in Pasir Ris for more than 20 years, "east is where the family is." When asked what are his fondest memories of the neighbourhood, he recalls spending his weekends as a child at the nearby Pasir Ris Park, cycling with his family. "There's a lot of greenery and we get the sea breeze, it's a nice, quiet place. Now there's more people, but I still like going there to cycle." While living on extreme eastern tip of Singapore means longer travel times to school and training, Kang says he doesn't really mind. "Although it's a bit far from everywhere else like town, I like that it's very tranquil and nature is just nearby." She has lived in the western, eastern and northern parts of Singapore but nothing compares to Bukit Timah for national bowler Jazreel Tan. Last August, after years of living in various parts of the island, Tan and her family moved back to the neighbourhood where she has spent more than half of her life in. As a Methodist Girls' School alumnus, a five-minute drive from her previous home in Bukit Timah, Tan says she just feels most at home in her current estate. "I've always liked to stay at Bukit Timah. From Robin Road to Duchess Road, I'm just really comfortable with the area," said the 25-year-old. 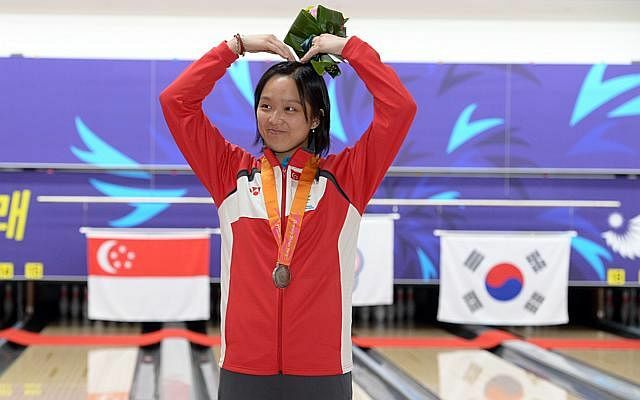 Part of her fondness for her neighbourhood stems from the central location, especially since the national bowling team trains "almost everywhere in Singapore". The conveniences don't end there, as good food at Newton Food Centre and her family's regular restaurant haunts at Turf City just minutes away.